TICEBA GmbH, based in Heidelberg, Germany, is an innovational biopharmaceuticals company specializing in the field of stem cell research. As a manufacturer of medicines, TICEBA produces stem cell-based medicines for clinical trials conducted by its subsidiary, RHEACELL GmbH & Co. KG, who are sizably involved in research related to stem cell therapies in the field of regenerative medicine. RHEACELL’s research, production, and quality control departments utilize a batch of Memmert INCOmed246 CO2 incubators specifically for cell cultivation purposes. The oldest and best-known form of stem cell therapy is the transplantation of stem cells from bone marrow or blood in the treatment of leukemia. Since the 1990s, researchers around the world have isolated further stem cells (separated them from tissue and bodily fluids) and investigated their efficacy as potential therapies for a multitude of diseases. In strictly regulated countries like Germany, research is mainly focused on non-embryonic (adult) stem cells. These so-called pluripotent stem cells can be found in the human body after birth and are able to develop into a multitude of specialized cell types. For example, with the influence of such stem cells, it could be possible to treat wounds associated with vascular disorders and diabetes that have so far proved unresponsive to therapy, or treat organ failure that has resulted from diseases of the liver and kidneys. Another potential application is the regeneration of the cornea, which may have become cloudy due to a lack of limbal stem cells following injury. Conversely, the targeted switching off of stem cells in tumors could inhibit tumor growth in cancers which presently cannot be treated adequately. One of the biggest challenges with stem cell therapy is how to minimize risk. This is why the stem cell-based medicines produced by TICEBA are tested, like any other medicine, in strictly supervised clinical trials with support from scientists and academics. The trials themselves are only run after extensive in vitro testing and modeling. As an example, RHEACELL is currently conducting clinical trials to study the efficacy and safety of pluripotent mesenchymal stem cells for various indications (chronic venous ulcer, diabetic foot ulcer, and peripheral arterial occlusive disease). In this context, therapeutic success is measured on the basis of various parameters associated with wound healing. Continuing preparations are also being orchestrated for additional clinical trials with mesenchymal stem cells for the treatment of epidermolysis bullosa, acute-on-chronic liver failure, and acute kidney failure, as well as for trials with limbal stem cells for cases of limbal stem cell deficiency. For the purpose of developing stem cell-based medicines, ABCB5-positive stem cells are isolated from primary cultures of human mesenchymal or limbal stem cells. These cells carry the protein ABCB5 on their surface and are able to repair damaged tissue thanks to their anti-inflammatory and regenerative properties. The cell cultures are incubated in Memmert CO2 incubators at 37 °C, 3.1% CO2, and 90% relative humidity. At the same time, so-called potency assays are conducted in the Quality Control department to test the regenerative and immunomodulatory capacity of the cell preparations produced. This cell cultivation also takes place at 37 °C, 3.1% CO2, and 90% relative humidity. Because of their features, functionality, and advanced capabilities, 21 Memmert CO2 incubators (INCOmed246) are used 24-hours/day at the RHEACELL facility in Germany. Specifically, the unit’s adjustment accuracy, process-controlled hot air sterilization, along with the expert service and support received from Memmert’s team, have made the INCOmed246 a valuable asset in their cell cultivation operations. A particularly critical factor for cell cultivation and therefore the success of clinical trials for stem cell therapy is compliance with any setpoints specified based on very narrow tolerance ranges. 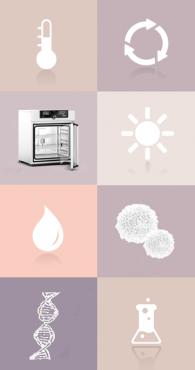 TICEBA makes similarly high demands of the CO2 incubator it uses for production and quality control purposes. For example, the internal qualification requirements state that temperature deviation over time must not exceed 0.5K and spatial temperature deviation must not exceed 0.8 K. All parameters are permanently monitored via the cleanroom monitoring system or calibrated data logger. Work in the field of regenerative medicine continues to grow and advance. 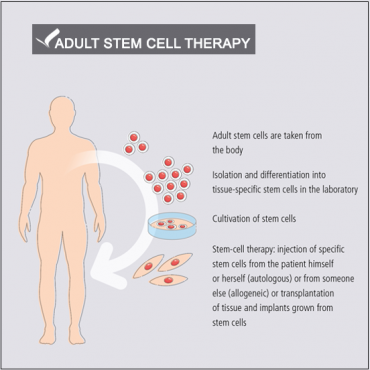 Stem cell therapy is increasingly becoming a large component of that area of research. Already, they have demonstrated promising potential as a reparative therapy. To minimize risk associated with safety and efficacy, cell cultivation should be conducted in CO2 incubators that comply with any critical process parameters, including any setpoints specified on considerably narrow tolerance ranges, and stem cell-based medicines should be tested in supervised clinical trials. STEQ America would like to thank Memmert’s AtmoSAFE department, and in turn TICEBA GmbH for the content, supportive research and explanations provided in this article. 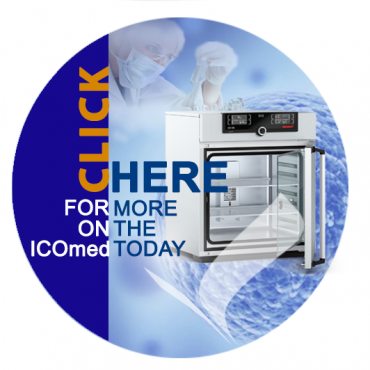 For more information on the ICOmed CO2 incubator click on the button below.